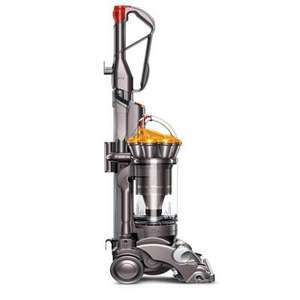 Dyson DC27 @ £99.98 Clearance at the Cricklewood Store. Not sure if other stores have the same offer. Can anyone confirm that this is also the price in their local B&Q? did they have a few in stock? Cricklewood? Finally a Local Deal. Will pop in tomorrow to see if this rings true. Do you know if they have the floor ones as well? Bargain if can find one - 227 on their website! Returned item? what an idiot u r! Cheap it is since manufacturing was moved to the far east. This should be the retial price from the start. Had a Dyson DC02 - rubbish! Bought a Miele cylinder and that I've had for 9 years. Would never touch another overpriced Dyson product again! Look at their desk fan - £199, how ridiculous! And that b*****d Sir James moved his factories abroad; poor little rich man!!! They changed the price back today, I went in store yesterday and it had a clearance sticker that stated was 199.98 and now 99.98, today I went in and it had another clearance sticker which stated now 199.98 but no "was" price.